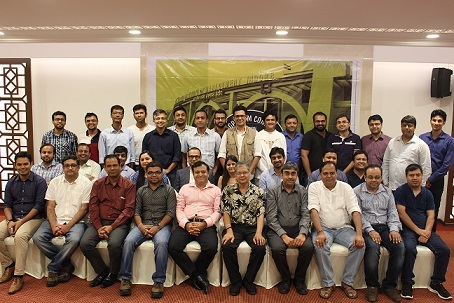 An initiative by Alumni Committee, EPGP Alumni Meet –‘IIMIKON’- Mumbai Chapter was organized at Mumbai on July 16, 2016. This was the first meet in the chain of alum-meets for the academic year 2016-17. 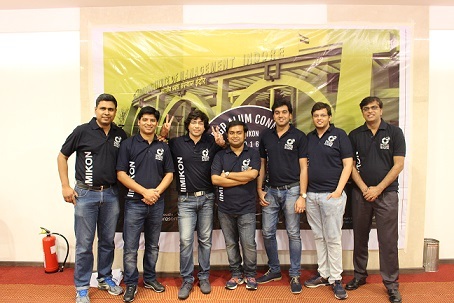 As the name IIMIKON implies, the objective of the meet was to unite the current batch with their alumni, thereby helping them build a bond and foster their relations, and stay associated forever. 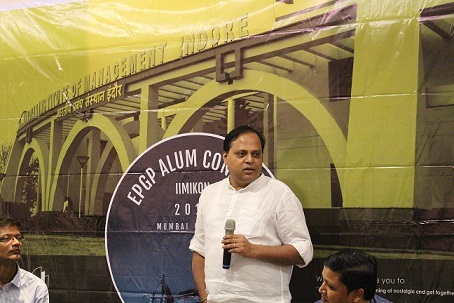 The meet witnessed a presence of more than 45 members, which included alumni, EPGP 2016-17 Alumni Committee, Mr. Pranav Dubey, EPGP Placement Officer and Mr. Ganpathy Lakshman Sharma, Business Development Manager. 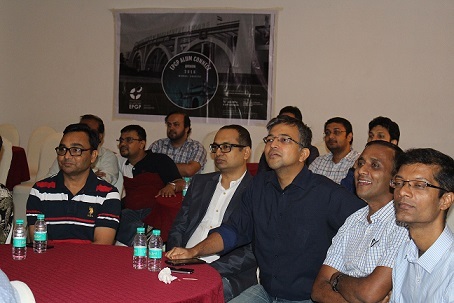 The event commenced with an Introduction Session where the current batch and the alumni introduced themselves. Creating a nostalgic moment for the alumni, the Alumni Committee ran a slideshow of alumni’s photograph during their student life at IIM Indore. The presentation also highlighted several initiatives taken by the current batch, including the ongoing CXO Guest Lecture series, Bulls and Bears competition, Masters of Table tournament, Batch Placement Brochure, etc. The highlight of the event was the video messages from the Faculty and the current batch students, which literally overwhelmed the audience. 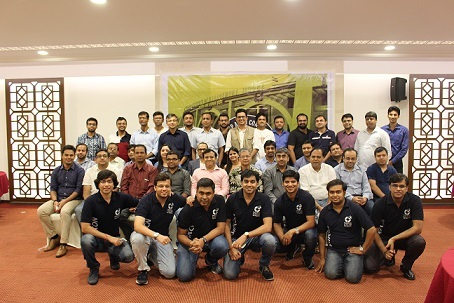 Sharing their experiences while studying at IIM Indore, the alumni discussed about their best and worst group experiences, their favorite batch-mates, their first and the last day experience at EPGP, most difficult subjects, favorite professors and many more. The event was full of moments of happiness, nostalgia, mounting and strengthening bonds, and upholding ever lasting relationships. 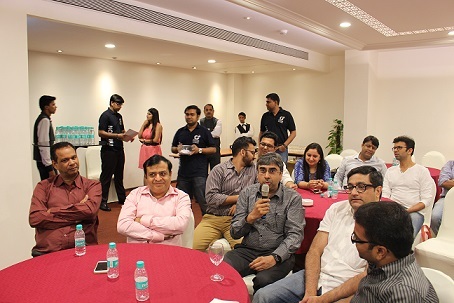 The Alumni Committee (Karthikeyan M, Nikhil Saraf, Shantanu Roy, Sumit Kumar, Tanmoy Bose) along with current EPGP participants Priyansh Mishra and Gaurav Tyagi thanked the Alumni for attending the meet and making it grand and a very successful one.